A few weeks ago I was invited onto a radio show to talk take part in a discussion on libraries. The main reason (I think) that they wanted a bookshop owner was so that they could ask the question "so Mark, if libraries close, you'll be quids in, won't you?" It's an interesting question. And I think it depends on what your view of retail is, and how independent bookshops will survive in the long-term. One view is as follows: I have a shop, I sell stuff (books and wot-not) , the more people who come to my shop to buy stuff, the happier I am, ergo anything that removes competitive pressure must be good for business. The other view is: I cannot possibly succeed just selling stuff. I cannot compete on price, range or convenience. I have to offer something value-added, in terms of a better experience, a carefully 'edited' range tailored to my customers, and benefits other than low price. No prizes for guessing which side we believe ourselves to be on. But what's the link to libraries? I think if you believe long-term survival depends on the second view, then you are really developing a book-buying community, which is a longer-term play, and - in the final analysis - depends upon developing a local culture of reading and enjoying books, and this is where libraries really come into their own. Two articles on the BBC website recently (one about our changing experience of books, the other on how technology stops us thinking) got me thinking of the positive aspect of libraries in creating quiet spaces to think. Interestingly (and not referred to in most of the coverage on the fall in people using libraries) the number of children using libraries has stayed about the same. The danger of moving libraries into supermarkets (for example) is that in trying to update libraries you will lost the things that libraries are still doing very well. 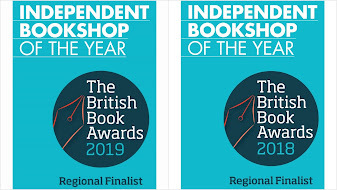 Intuitively, I believe libraries and bookshops can help each other - both are under the cosh at the moment, and both can start working together to develop a healthy local book loving culture (which is how I answered the question on the radio the other week). Can I point you towards the Portsmouth BookFest as well (http://www.portsmouth.gov.uk/learning/18786.html)? 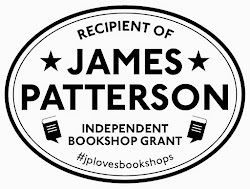 This is a joint venture between local independent The Hayling Island Bookshop and Portsmouth Library Service. I completely agree. Bookshops and Libraries should complement one another, not see one another as rivals. Plus libraries can come into their own with stocking the out-of-print stuff. Thanks dom, the BookFest is a great example, and I particularly like the way it encourages people to join the library to get a discount on their tickets.